This drink will burn hundreds of calories. It boosts the metabolism, and thus contribute to the weight loss process. Use one part of cinnamon and 2 parts of honey. 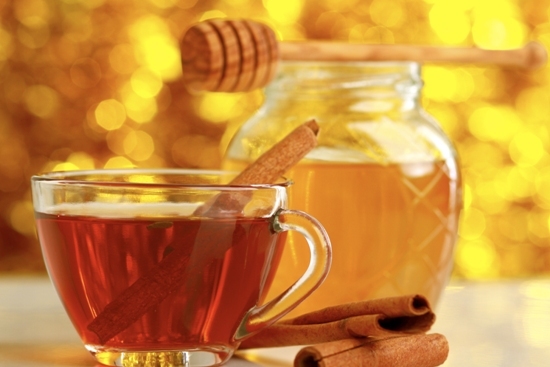 It is best if you use a teaspoon of cinnamon, and 2 teaspoons of honey. Boil the water. Turn the heat off and add the cinnamon. Cover and let it cool for a while, but it should still be warm enough so you can drink it. At this point add the honey. You must remember that you should never add honey to a hot liquid because the heat will affect its quality, destroying all the important enzymes and nutrients. Drink half of the liquid before you go to bed. Cover the rest of it and keep it in the fridge. Drink it in the morning, bur remember, you should never re-heat it. Avoid adding flavorings to this drink. The best results are obtained only if you take this drink before eating or drinking anything.